On February 19th my son would have been fifty-five years old. I can’t believe that by now he would be a middle-aged man. Eighteen years ago when we celebrated his thirty-seventh birthday he was a strikingly handsome man, trying to enjoy life to the hilt. 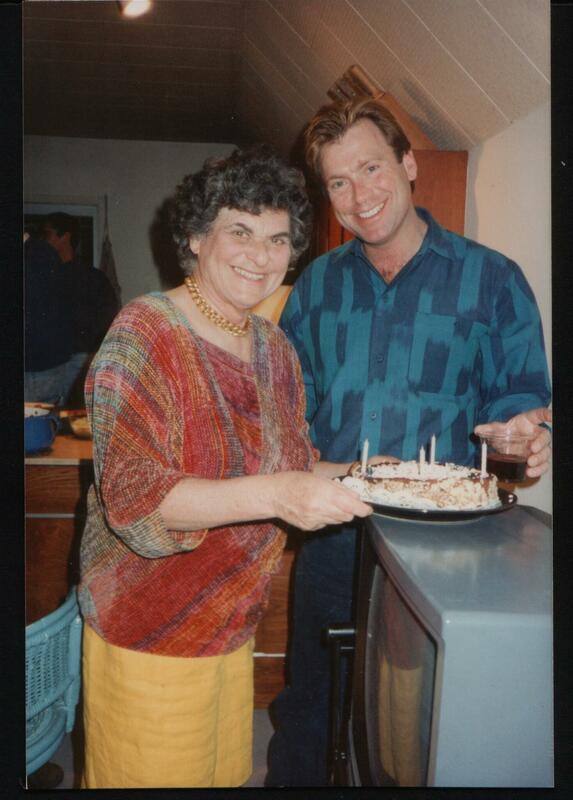 Since he always considered his birthday a big deal, I had flown to San Francisco to be with him on his important day. I made him a party in the magic penthouse, which I rented whenever the resident dancer-owner was on tour. David’s mostly gay friends came over to celebrate and savor my home cooking. I remember uproarious laughter, pesto pasta, salad, and a gooey cake with four candles. That evening, our merry-making centered around a huge gym ball on which the boys took turns rolling. When we blew out the candles that decorated the cake, my wish was that I could go on spoiling my son for as long as I lived. This was not to be. Two months later, David came down with AIDS-pneumonia, and on May 24th, 1993, he died. I am immensely grateful that David never experienced the diarrhea, weight loss, dementia, and blindness that was characteristic of the then-always-fatal AIDS. I console myself by believing that because he was aware of the fact that his life might be short, David’s enjoyment of whatever time he had left was heightened. My son was comforted by the knowledge that his family fully embraced him and his friends. Still, even in liberated New York and San Francisco, being gay was and is not that easy. I knew that my son was gay by the time he was three. This being the 1960s, and us being conscientious parents, we followed the advice of our physician and subjected him and ourselves to years of psychotherapy. As an adult, David told me that he was proud and happy to be gay. I believe he was; as every more or less well-adjusted member of a minority group knows, wishing to belong elsewhere is rejecting one’s innermost self. Besides, being gay during the 1970s, when the community fought for their rights at Stonewall and elsewhere, was intoxicating until AIDS darkened the horizon. The New York Time’s headline, “Remembering a Marked Man” (News of the Week, 1/23/11), smacks of the lynching, witch-hunts and burning at the stakes that dominated the southern United States some fifty years ago. One month ago, David Kato, a gay crusader, was hammered to death in his native Uganda. Now the country is considering criminalizing homosexuality. The situation in many other places is not so different. In the US, homophobia is less overt, but last year, many gay teens committed suicide so as to escape the bullying of their friends. Very likely, the spread of AIDS itself could have been avoided if the government had concentrated on limiting its spread when the disease affected only a few hundred individuals instead of tens of thousands and then millions. Since the initial patient population consisted of gay men, IV drug users, and other minority groups, health officials felt that they could ignore measures that might have halted a worldwide epidemic. 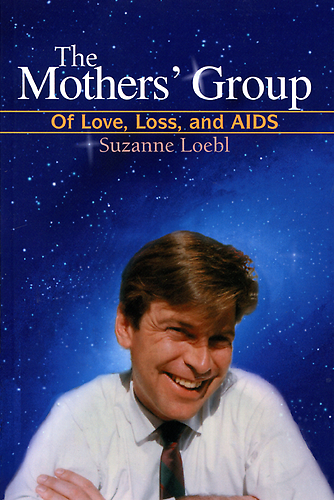 Suzanne Loebl’s memoir, The Mother’s Group: Of Love, Loss and AIDS, is an account of gayness in America as viewed through the eyes of mothers during the last decades of the twentieth century. It is available as a paperback and e-book from Amazon.com and bookstores near you. For signed copies see http://www.SuzanneLoebl.com. This entry was posted in Uncategorized and tagged aids, birthdays, david, david kato, family, gay allies, gay children, gay rights, grief, homophobia, lgbt rights, losing a child, parents of gay children, san francisco, the mothers' group, uganda. Bookmark the permalink. 1 Response to Happy Birthday David! Thank you, Suzanne, for this eloquence on David’s birthday. He was very fortunate to have you as a mother and friend.